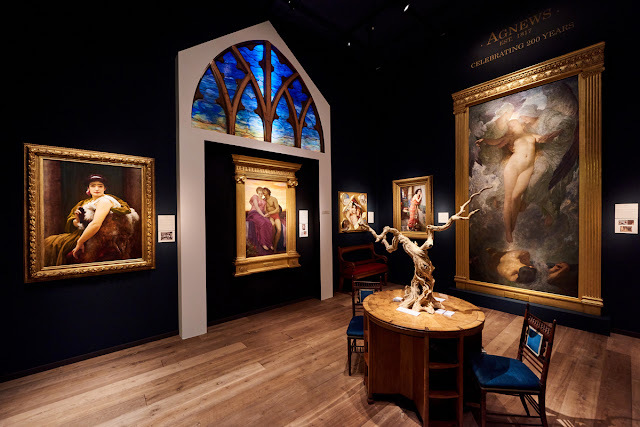 Masterpiece London has established itself as the world's leading cross-collecting fair, offering the finest works of art, design, furniture and jewellery, from antiquity to the present day. 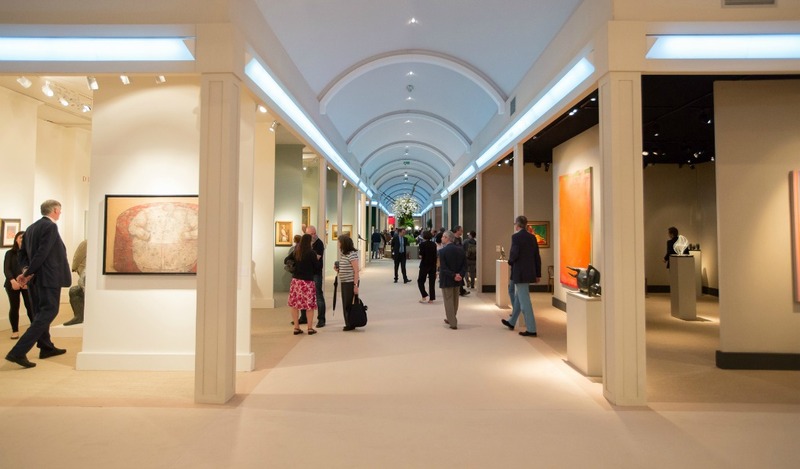 This unmissable event at the height of London's summer season provides an unparalleled opportunity for new and established collectors to discover exceptional works for sale from 160 international exhibitors. 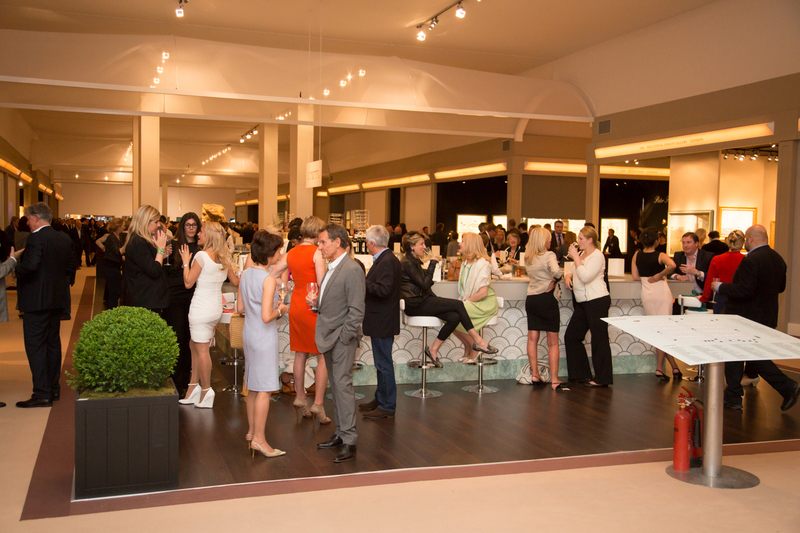 This year’s edition showcases rare and important Impressionist and Modernist paintings; compelling presentations celebrating British art and design; exquisite jewellery; art and objects from antiquity as well as contemporary work by artists including Marina Abramović, Ibrahim El Salahi, Chiharu Shiota and Rob & Nick Carter. The Royal Bank of Canada returns as the Fair’s principal sponsor for the fifth successive year. MASTERPIECE PRESENTS, in collaboration with FactumArte and Lisson Gallery, will showcase new works by Marina Abramović, Five Stages of Maya Dance, in an immersive, specially conceived area. This unseen body of work comprises five alabaster portraits of Marina Abramović which merge performance, light and sculpture. Their hauntingly physical presence decomposes into intricately carved landscapes of alabaster as you move around the pieces. Longstanding Masterpiece exhibitors including Richard Green, Adrian Sassoon, Wartski, Robilant + Voena, Verdura/Herz-Belperron and Dickinson are joined by carefully selected new additions for 2018 including: ArtAncient, Ben Brown Fine Arts, Cahn, CINDY CHAO The Art Jewel, Day and Faber, DIE GALERIE, Galerie Yann Ferrandin, Flowers Gallery, James Graham-Stewart, Hammer Galleries, Hauser & Wirth, Galerie Henze & Ketterer, Hill-Stone, Hunter / Harrison, Kallos Gallery, Landau Fine Art, Lullo • Pampoulides, Maruani Mercier, Moussaieff Jewellers, Sarah Myerscough Gallery, Jill Newhouse Gallery, Partners & Mucciaccia, R & Company, Fabio Salini and Vigo. Masterpiece’s cross-collecting ethos can be seen throughout the Fair, where exhibitors specialising in a wide variety of disciplines and eras are brought together, offering the broadest spectrum of works of any art fair, with classical and contemporary shown side-by-side. Visitors will encounter presentations which carefully combine furniture, sculpture and works of art from all periods, unified by quality. Examples of this ethos can be seen at Benjamin Proust, Perrin Fine Art, Robilant + Voena, and Safani Gallery & Geoffrey Diner. Reflecting this breadth, new exhibitor ArtAncient’s presentation will feature a rare ‘shooting star’ meteorite, formed 4.6 billion years ago, whilst specially commissioned contemporary artwork will be presented at Blain|Southern with an installation by Japanese artist Chiharu Shiota. Les Enluminures and Daniel Crouch will stage a carefully curated presentation entitled ‘A Brief History of Time: From Matins to Mars’. The booth will display celestial maps, instruments, illuminated manuscripts and medieval and Renaissance jewellery, inviting viewers to contemplate the perception of time across history. Hauser & Wirth’s ‘Wunderkammer’, or cabinet of curiosities, will also combine disciplines with contemporary and modern works by Louise Bourgeois, Phyllida Barlow, Subodh Gupta and Philip Guston, presented alongside 18th and 19thcentury furniture. This year, highly important Impressionist and Modern works will be exhibited at the Fair by a number of exhibitors. Landau Fine Art’s presentation will include a Picasso oil painting which hung for decades behind the desk of his only dealer, Paul Rosenberg. Gladwell & Patterson will be bringing a preeminent example of a late waterlilies painting by Monet and, celebrating its 90th anniversary this year, Hammer Galleries will be bringing an early work by Joan Miró along with Marc Chagall’s Peintre au coq rouge. DIE GALERIE are collaborating with M. F. Toninelli Art Moderne to present a focussed booth with work by three key Surrealists: Max Ernst, André Masson and Roberto Matta, including a monumental bronze statue by Max Ernst, whose work will also be shown at Ludorff’s stand. German Expressionist works by Ernst Ludwig Kirchner, Karl Schmidt-Rottluff and August Macke, will be displayed by Galerie Henze & Ketterer. 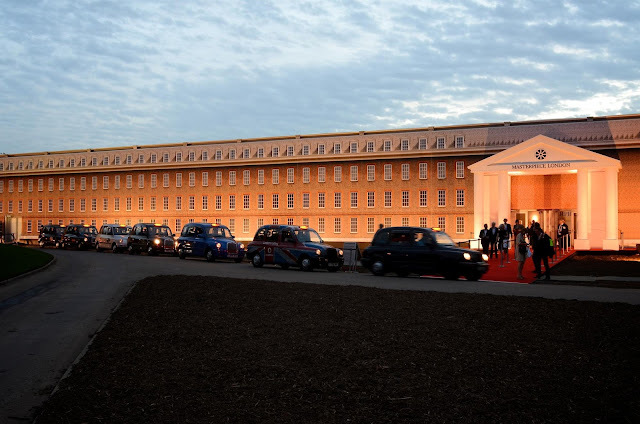 Masterpiece is an important destination for collectors of British art and design and many of this year’s exhibitors are celebrating the work of British artists as well as those who have lived and worked in the UK. This focus is encapsulated by Richard Green whose presentation ‘Best of British from our Shores and Beyond’ includes pieces by J.M.W.Turner, L.S. Lowry and John Constable. Modern and Post-War British artists, including Eileen Agar, Duncan Grant, Barbara Hepworth, Bridget Riley and Graham Sutherland, will be presented by The Redfern Gallery, Osborne Samuel, Philip Mould, Offer Waterman, Hazlitt Holland-Hibbert and Piano Nobile. 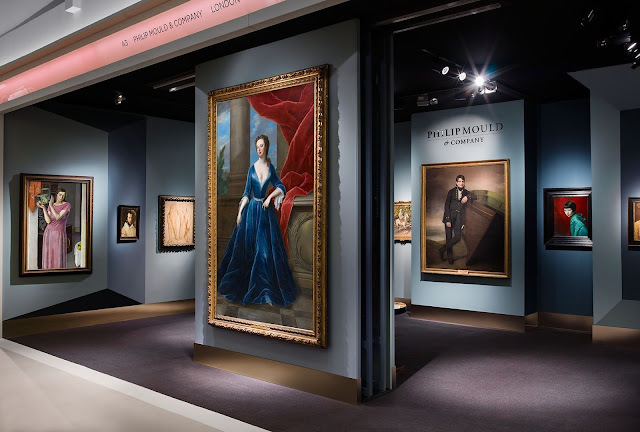 In celebration of the 300 year anniversary of Thomas Chippendale’s birth, Ronald Phillips and Apter-Fredericks will be presenting important pieces by the British cabinetmaker. British furniture will also be championed by Oscar Graf, whose stand will explore the theme of ‘Victorians & Edwardians’, displaying beautiful pieces in a variety of styles from 1860-1910. Jewellery exhibitor Didier Ltd. will include a focus on British designers on their booth with pieces by Wendy Ramshaw and her husband David Watkins. ith a booth inspired by the Surrealist poet and patron Edward James, David Gill Gallery will be bringing together contemporary works from their roster of artists and designers including Zaha Hadid, Michele Oka Doner and Mattia Bonetti. Modern and contemporary design will also be presented by 18 Davies Street Gallery, Rose Uniacke and Modernity Stockholm. New exhibitor Sarah Myerscough Gallery will showcase unique handcrafted contemporary pieces of design by John Makepeace amongst others, and Sinai & Sons Ltd. will focus on the work of Italian painter, sculptor, interior decorator and engraver Piero Fornasetti. Hitomi Hosono’s exquisite collaboration with Wedgwood will be revealed at Adrian Sassoon, and Katie Jones will present a selection of contemporary Japanese applied arts. Extraordinary contemporary jewellery will be shown by leading designers including Fabio Salini whose new collection made with carbon fibre will be revealed for the first time at the Fair. Taiwanese fine jewellery brand CINDY CHAO The Art Jewel will be presenting designs from their Black Label and White Label collections and coloured diamond specialist Moussaieff also join the fair this year. Rare antique jewellery by masters such as Cartier, Boucheron and Fabergé will be offered at SJ Phillips, Hancocks, Véronique Bamps and Epoque Fine Jewels. Van Cleef & Arpels, Verdura/Herz-Belperron and Grima will present both their heritage collections and unique contemporary pieces. Masterpiece’s exhibitors include leading sculpture specialists Lullo • Pampoulides, Pangolin London, Univers du Bronze, and Galerie Sismann who will display European Old Master sculpture alongside contemporary sculpture by Johan Creten. Other highlights in this field include Alexander Calder’s unique Red Bull which will be at the centre of Collisart’s stand alongside American Modernist works by Marsden Hartley, Edward Hopper, and Arshile Gorky. Landau Fine Art are bringing a rare black marble Reclining Figure: Curved by Henry Moore, dating from 1977, which is one of the artist’s seminal and unique carvings and will be displayed close to their stand. Other prominent pieces and installations throughout the Fair’s main areas include a large sculptural light installation created by Jeff Zimmerman being offered by R & Company and Larry Bell’s monumental VFZ 2, a unique work formed from True Sea Salt and Cerise laminated glass presented by Hauser & Wirth. Blain|Southern will bring State of Beingby Chiharu Shiota and two new works, the monumental Twice by Richard Hudson and Solar Disk by Emily Young will be offered by Bowman Sculpture. Masterpiece London will be holding talks, workshops and tours throughout the public days of the fair as part of a Talks & Education Programme, in association with Chopard. This includes a new initiative - a Curator and Art Trade Day on Saturday 30 June co-chaired by Thomas Marks, Editor of Apollo, and Philip Hewat-Jaboor, Chairman of the Fair, which will include a call for papers from academics. 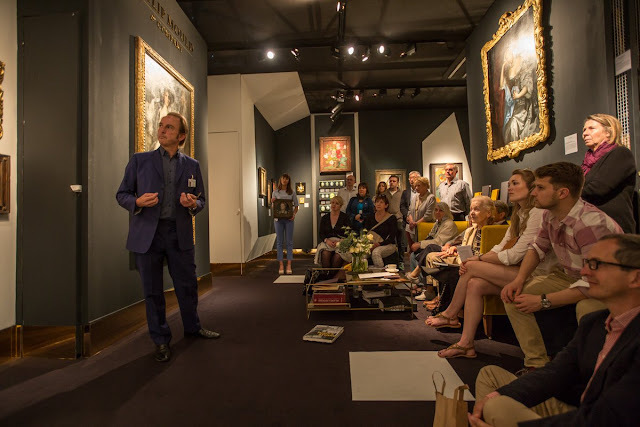 This is in addition to a series of ‘How to Look at’ talks, providing visitors with the tools needed to get the most out of viewing and buying a range of disciplines of art. Throughout the Fair there will also be free to attend on-stand talks with exhibitors, where specialists will give visitors an insight into some of the highlights on display.